"Rescued"--have it engraved, because doesn't your pet deserve the best? 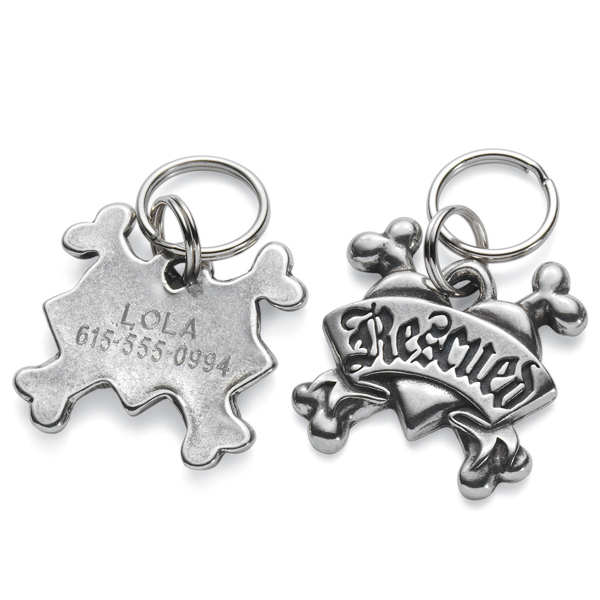 Stylish alternatives to the ordinary pet tag. Initial is lead-free pewter with epoxy. Small ( 3/4" diameter), Medium (1"), or Large (1 1/4"); specify Blue, Black, Red, or Pink. "Rescued" is leadfree pewter, 1" x 1". Specify 2 lines, up to 12 characters each (example: your pet's name and your phone number). Handcrafted in the USA. Allow 2-3 weeks. No rush delivery or gift box. Item can only be shipped within the Continental US.